﻿﻿All of the species I photographed are common in the habitats they are found in. The habitats I explored was dominated by Carolinian woodlands – found in the eastern United States, and limited in Canada to extreme southern Ontario – altering into boreal forests as one travels toward Manitoulin Island. The Carolinian woods are semi-deciduous, rich habitats for flora and fauna. It is also the most exploited resource for agriculture and industries in Canada. It is characterized by tree species such as Ash trees, Black Oaks and maples. As one travels towards Manitoulin, the habitat gives way to conifer species. Although there is a significant change in the habitat of Long Point and Manitoulin Island, the butterfly diversity remains somewhat constant. Of the 31 species recorded, 14 species belong to family Nymphalidae, 7 species to Lycaenidae, 7 species to Hesperiidae, 2 species to Pieridae and 1 species to Papilionidae. ﻿As it is clear from the graph, the diversity observed was higher for Nymphalidae (the largest family of butterflies), followed by Lycaenidae (second largest family), then by Hesperiidae, Pieridae and lastly Papilionidae. This trend is generally observed in the number of species occurring worldwide as well – with Nymphalidae having most number of species and Papilionidae having the least. The trend seen in the above graph could also probably be because of time and the place these butterflies were observed in. This is explained in the graph shown below. 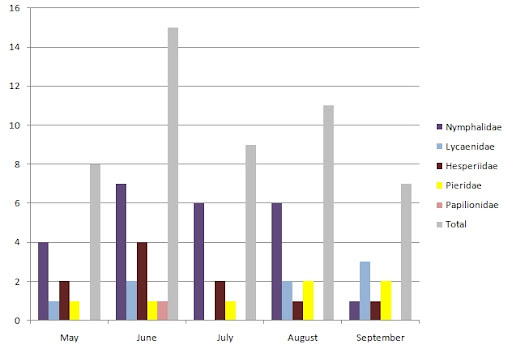 Graph showing number of species of butterflies observed from May to September. Please note, May-June observations were made at Port Rowan, Turkey Point and Long Point; July-August observations were made on Manitoulin Island; September observations were made at Port Rowan and Turkey Point. 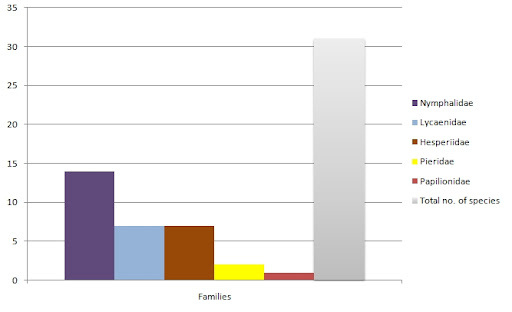 ﻿The above graph shows number of species of five families observed over a period of five months. It shows highest diversity in the month of June. May shows a rather lower diversity probably because of the coolness of late spring as well as low diversity of plants (it is also the month when most plants start to sprout). June shows a peak, which also showed a high temperature range compared to May. This not only helped adult butterflies to flutter around and feed on flowers but also helped the caterpillars because of the presence of larval host plants – as specifically observed for Monarch larval host plant Asclepias sp. The month of July shows lower diversity than August, this probably involves an error in my observations, since that is the month when I moved from Long Point to Manitoulin Island. August is the month that showed most diversity, probably because it is also an ideal month (and the warmest) for adults as well as larva to relish on the plants. Noticeably, the month of July also had less number of plants in flowering season as compared to August – this could have affected the observations since it is easier to see butterflies visiting flowers. The month of September has been relatively cooler than last year, which might explain why such a less number of species. There is also a bias in the data because these observations were made only in the first two weeks. What’s interesting however is the increase in the sightings of butterflies belonging to Pieridae. I sighted two species that were abundant –next only to the omnipresent Monarchs seen at Turkey Point during August and September. I wish I also conducted a population count for these butterflies to see how the overall density rises and fall with the season, and to see if it rises or drops for ever species, depending on their time of emergence as well as on environmental factors. Let’s have a look at these butterflies one by one. Starting with the largest family Nymphalidae, I will descend to Papilionidae. All these families have distinct characteristics which are easy to observe on-field. I will recommend visiting Government of Canada’s CBIF website for more information on every species. Nymphalidae: Marked by the presence of only four legs, this is because the first pair of legs is reduced to “brush” like structures – hence the butterflies of this family are commonly called Brush-footed butterflies. ﻿Monarchs are renowned for their great migration spanning over 3,000 kilometers. This migration begins with the sign of fall, as they move downwards on the map as temperatures drop. Point Peele National Park is well known to watch this butterfly congregate in huge numbers, from where they fly over Lake Erie and through America, as far as Texas. During early spring, they start flying northwards towards Canada. This migration, besides being associated with the temperature, is also related to the growth of the larval host plants. Viceroy is also famous for its mimicry of the Monarch. This mimicry is called Mullerian mimicry, where two or more harmful species share similar display patterns to deter predators. Like Monarchs however, Viceroy does not migrate. They are known to overwinter in larval stage. Red Admiral is a common butterfly of urban as well as woodlands. It is one of the last butterflies to be seen during fall. There are two subspecies of White Admiral, L a. arthemis, as seen here and L a astyanax. While both subspecies are seen in Ontario, I found L a. arthemis to be more common at Manitoulin Island than at Long Point. 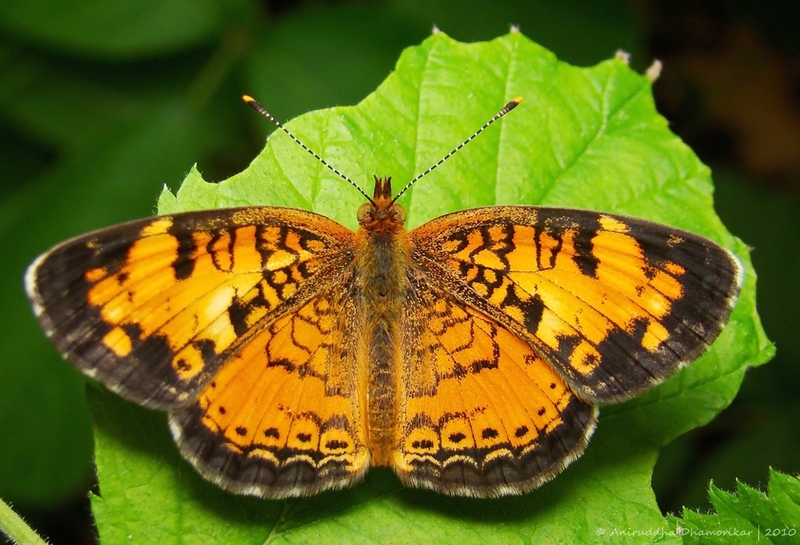 According to CBIF, the migrating butterflies show up first in Southern Ontario in June and if colonies are established by egg-carrying females, they can last through several generations to early September. This explains why I saw a number of Common Buckeyes at Turkey Point in the first week of September. This butterfly was more common at Manitoulin Island, seen basking on the south shore and occasionally feeding on Joe Pye weed. According to CBIF, this butterfly is probably the longest-lived Canadian butterflies in the adult stage. The single brood appears in July/August, hibernates as an adult and can survive through until the following June. The only specimen I observed was mud-puddling on the alvars on the south shore of Manitoulin Island in July. This butterfly is also called False Comma, since it also bears the mark that looks sort-of like a ‘coma’, much similar to a species of butterfly called Coma. The mark on the underside of the wing is a curve and a dot, resembling a Question mark – hence the name. It is known to be the largest of the Polygonia sp. found in Canada. They prefer wooded areas and forest clearings – often seen basking on the ground but when disturbed, they will fly high on the canopy and bask. They will however certainly come down to the ground to bask. ﻿It is only found north to Hudson Bay and absent in the extreme southwest, hence it is not surprising to find many of these at Manitoulin Island and none near Long Point. 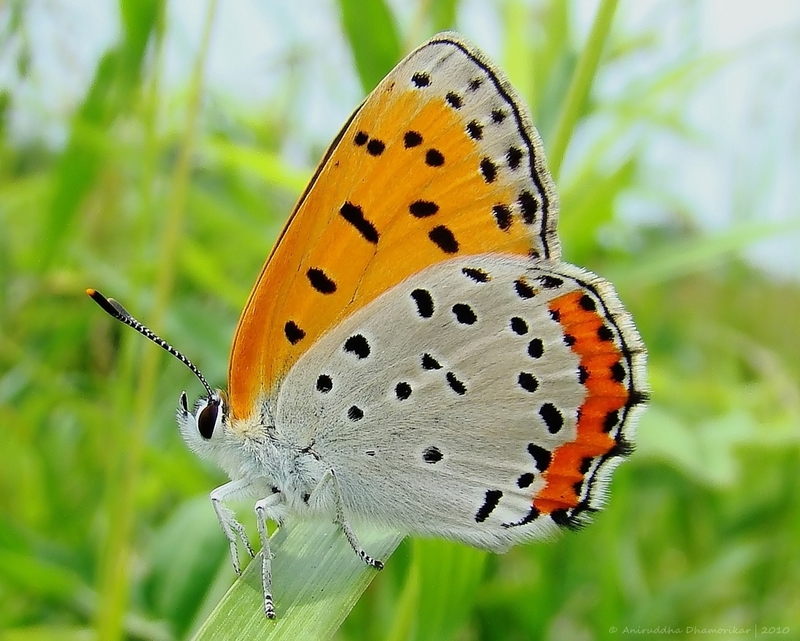 It was most common during the first two weeks of August than July, where adults were seen feeding on goldenrods on the alvars and one female was seen laying eggs. This butterfly is one of those to overwinter for months, and fly again by mid-March in southern Ontario. It is fairly common during spring and late summer. Pearl Crescent was one of the commonest butterflies seen throughout summer. It was commonly seen along grassy patches near Long Point and around rocky shores dominated by shrubs on Manitoulin Island. It is a common butterfly seen basking in forest clearings on low shrubs or are seen fluttering about the dense woodlands of southern Ontario. Many of these were seen in late May and June. I did not come across any Little Wood Satyrs at Manitoulin, which was occupied more commonly by Common Wood Nymph. This subspecies is characterized by darker color compared to other subspecies. It was observed in good numbers at Manitoulin Island, frequently seen basking on shrubs as well as tall trees. Although named ‘wood nymph’ it was not seen in woodlands, but rather along forest edge. It is a butterfly commonly seen flying low on the ground near grassy habitats at Long Point. The subspecies C t. inornata is known to occur in most of eastern Canada. According to CBIF, it has been expanding southward for some years into southern Ontario. Based on this, I found this butterfly to be very common in and around Long Point. Lycaenidae: Commonly referred as ‘Blues’ because the predominant color on the upper wings of these butterflies is blue. These are usually small butterflies, famous for their association with ants. The larvae possess glands that secret sugary substance that attracts ants, thus they bribe ants to protect them from potential predators. Some of the larval stages of the Blues are also known to prey on little insects such as mealy bugs and aphids. Only one specimen was observed in the first week of September. This is not surprising since according to CBIF, second- and third-generation are not rare in southern Ontario, considering the fact that the butterfly I saw belonged to this generations. It is a common butterfly in suburban as well as forested areas – preferring weedy fields. 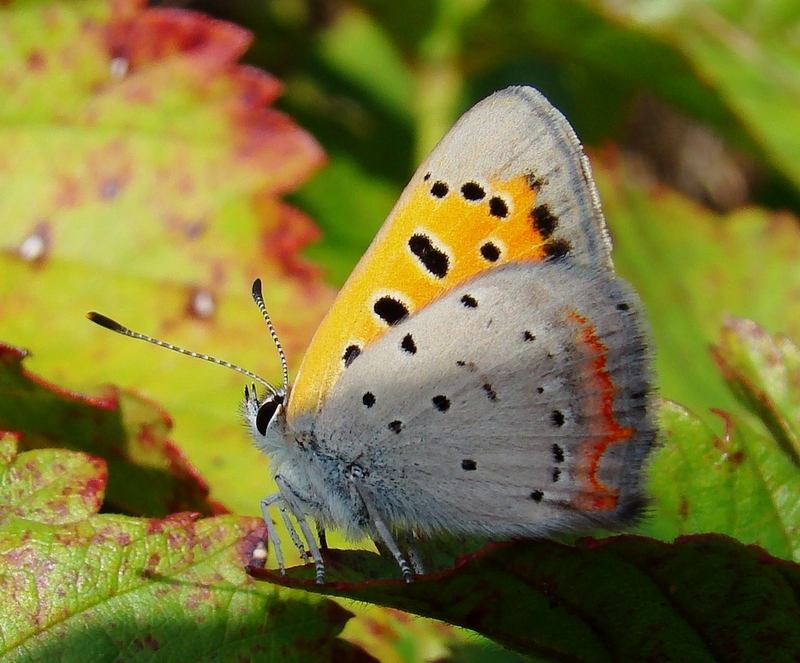 A small lycaenid, there is only one subspecies couperi identified in Canada according to CBIF. It is known to occur all over Canada, except from southwestern Ontario where its southern limit is Ancaster. This is interesting, since I recorded it at Turkey Point, which is far south of Ancaster. Comment from an expert from CBIF: This species has switched its main larval host plant to Cow Vetch (Viccia cracca) - an introduced legume, and this is allowing it to spread its range farther south into southwestern Ontario and also into the Northeastern United States. It is interesting to observe good (or bad) effect on the biodiversity because of an introduced species. This butterfly was seen during early May and early September at Turkey Point. It was however more common during September. According to CBIF, it has two or three generations between May and October. It is the only tailless Hairstreak in Canada. Only one specimen was seen in July at Manitoulin Island. ﻿It is a large Copper seen commonly during mid-June to mid-September. Only one specimen was observed at Port Rowan in June. ﻿This butterfly is smaller than Bronze Copper. It was fairly common throughout Turkey Point in September. ﻿There is a little confusion with the identification of this butterfly. It was commonly seen during the month of August on Manitoulin Island, seen basking and feeding on goldenrods along alvars. Hesperiidae: These butterflies are supposedly a link between moths and butterflies – because of their superficial resemblance to moths. This however is debatable, since these butterflies, commonly referred to as ‘Skippers’ are similar to other butterfly families than moths. They are usually small, drab-looking butterflies known for their fast and rapid flight. It was introduced in early 1900s probably via imported seeds of Timothy Grass. Only a few butterflies were seen around Long Point, but they surpassed the populations of any other butterfly on Manitoulin Island during July. They however ceased to exist in August, with not a single specimen seen around. This outburst of population is mostly because this is the only North American skipper whose eggs hibernate. It is a small skipper seen commonly in grassy areas in and around Long Point during June. 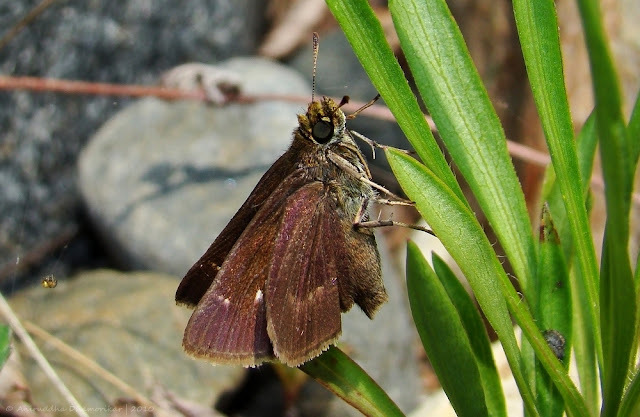 This skipper was commonly seen in forest openings and edges at Long Point. It was more common in the month of June than May. There are two subspecies, leonardus occurs in the east and pawnee in eastern prairies. I am not sure which subspecies I recorded, but I’d go with leonardus, since it occurs in southern Ontario. Only one specimen was observed feeding on Goldenrods on the shores of Manitoulin Island. I’m still unsure of the identification of this butterfly, which could either be P verna or Dun Skipper Euphyes vestris, since both share similar distribution in southern Ontario. It was seen around mid-week of July. It was seen commonly during May to June at Long Point and the surrounding area. Many specimens observed preferred basking on sandy clearings and roads rather than on plants. This is the largest resident Skipper in Canada (CBIF, 2010). Only two specimens were observed, one in early July and one in early September. I missed the opportunity to photograph this butterfly on both occasions! They were observed basking on the ground, but took to flight as soon as they sensed movement. 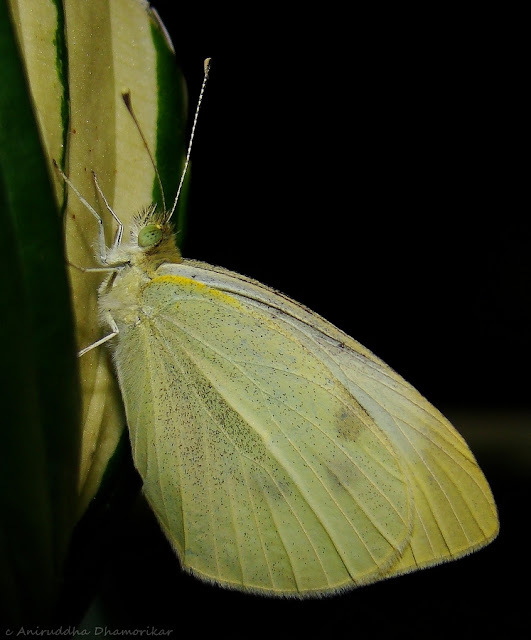 Pieridae: The butterflies of this family are commonly referred to as ‘Whites and Yellows’ or ‘Sulphurs’ because the predominant color in this family is white or yellow. Cabbage Whites are ubiquitous in Ontario, especially in disturbed habitats dominated by invasive weeds. It was introduced into North America in Quebec in 1860s (CBIF, 2010). According to CBIF, they become more common as summer progresses, this explains why I saw more number of this species in late August and early September. This was another common butterfly seen during August-end and early September. Many specimens were seen feeding on Butterfly Milkweed, and taking shelter in the grass. Papilionidae: The butterflies of this family are commonly referred to as “Swallowtails” because most of these butterflies display a swallow-tail like extension of the hind-wing. They are usually large, brightly colored butterflies. Many specimens – males and females, were seen during the months of May and early June in and around Long Point. These large swallowtails are seen flying high in the canopy, often visiting the ground to feed on flowers. For many, butterflies are a mere delight. But what is their stand in this diverse world around – is it to please us with their elegant flight and brilliant colors? Of course not, and we know it. First thing that comes to mind when we think of butterflies is plants. Adult butterflies need nectar to fuel their flight, and by visiting flowers they not only refuel, but carry out nature’s own way of regeneration – by pollination and caterpillars require to feed in order to grow. It is therefore not hard to imagine that a butterfly’s life revolves around plants – from the time the egg is laid to the time the adult has to feed on nectar and lay the eggs again. This brings me to think about butterfly conservation. Conservation of butterflies is as complex as conserving tigers, only difference is that not many butterflies are as endangered as the tiger. To protect a tiger, we have to start from the grass roots. We need to conserve its habitat – formed by communities of plants and trees. Likewise for butterflies, we have to conserve these plant communities. Butterflies, like tigers, also face the danger of poaching, with many being hunt in tropical rainforests to be sold worldwide as precious ornamental items. This illegal trade can easily be brought to a stop if only the consumers began to appreciate the real beauty of butterflies in their natural habitat. We can also help butterflies sustain the populations in cities by encouraging communities to transform their lawns into butterfly gardens. All you need to do is plant native flora – and the butterflies will make sure to visit you. The Butterfly Website lists native flora that will help you create your own butterfly garden. This recreational effort is also a step towards conservation – and let it be known, there are no small steps. Every step you take is a big effort. Please feel free to add the butterflies you observed anywhere in Ontario to this list in comments or make corrections if any of the identifications are wrong. A very interesting and informative article for nature lovers. The pictures are excellent. These are amazing photos, Aniruddha! Please do us the honour of posting some of these at ButterflyCircle's forums. I am sure our members around the region will be fascinated by these Canadian beauties! Amazing photographs, Anirudhdha! The article is also very interesting and inspiring. I am sure one day I will have a butterfly garden of my own.